In a spur of the moment whim, me and Phil decided suddenly that the living room needed a bit of rearranging. It wasn't quite right. It needed fixing. We immediately turned our attention to the TV area. Our TV sat on a low coffee table that was awkwardly shoved into the corner of the room. It was so not nice, but we didn't really have any other options. 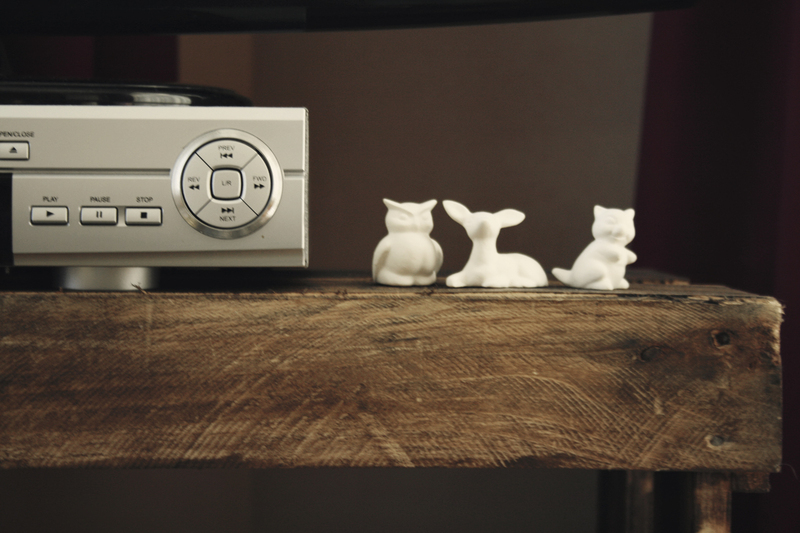 We played around with the idea of putting the TV on a large old fashioned radio. It was neat, but still not quite right. 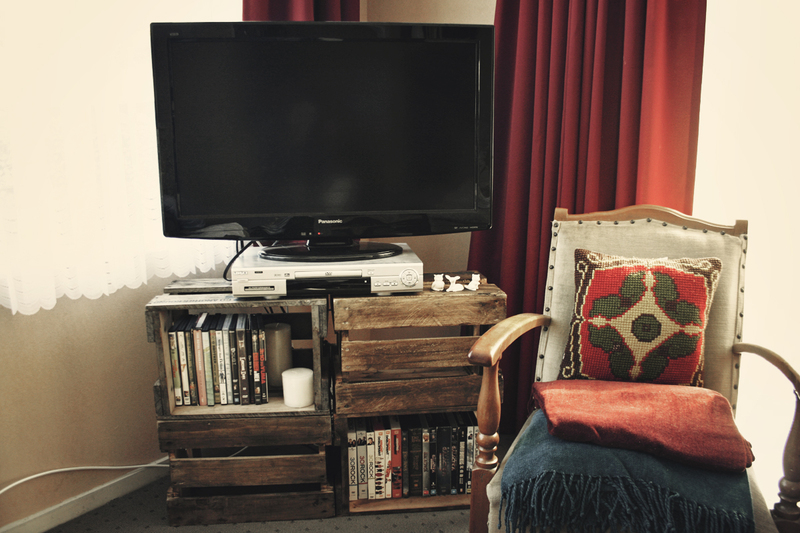 Then we dreamed of making a TV stand out of old crates. We only had two, but the idea seemed perfect. In a snap decision, Phil went to the nearest liquor store and purchased four empties beer crates. The bottles went to our recycling bin and we got to work. While Audrey was napping we stained the crates with Briwax to give them a more finished look. When they were dry we ran them inside and rearranged the crates to get the right look we were going for. Beautiful. Exactly what we were going for. Our living room felt right. Complete. I love our new TV stand. Whenever I see it I look at it with appreciation. 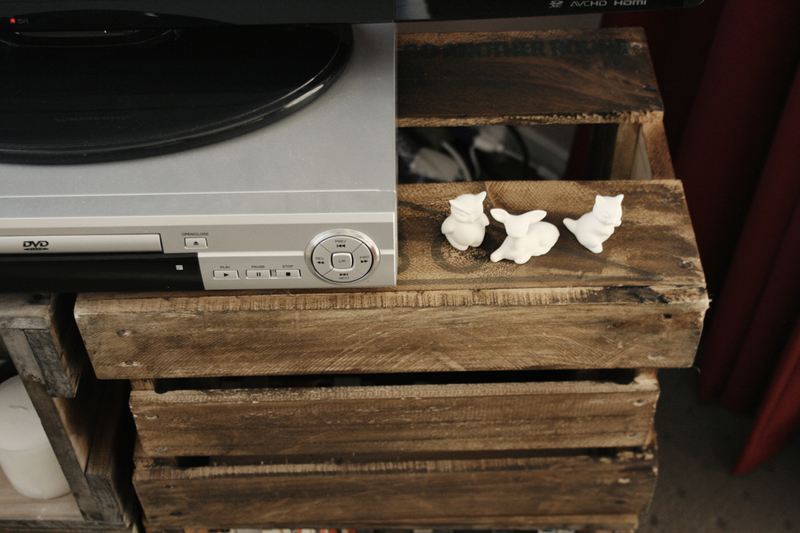 It was a quick and easy project and it has a rustic homemade feel to it. Perfect for us. Now our living room is comfy cozy. 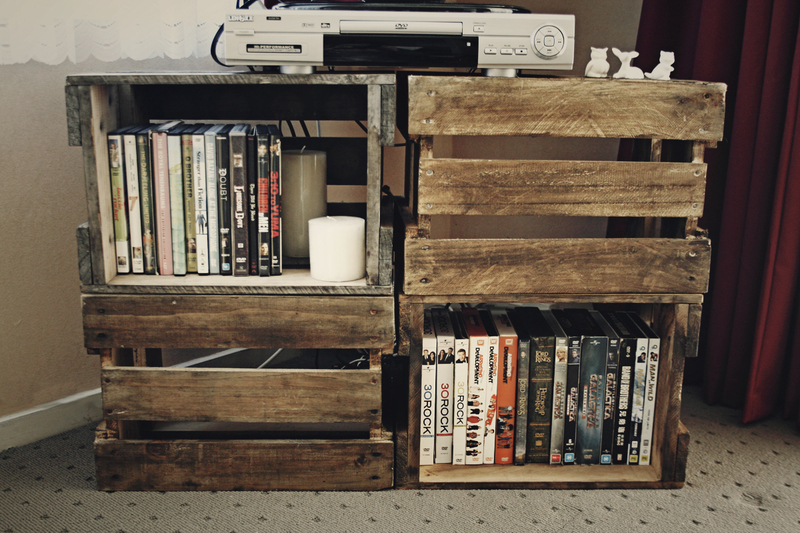 I did the same thing in my bedroom three years ago with an old wine crate. I love this kind of design! Kisses to your beautiful baby! I love this! It looks really good!! I'd love to be able to do something like this myself, I may copy you! Wow love this! 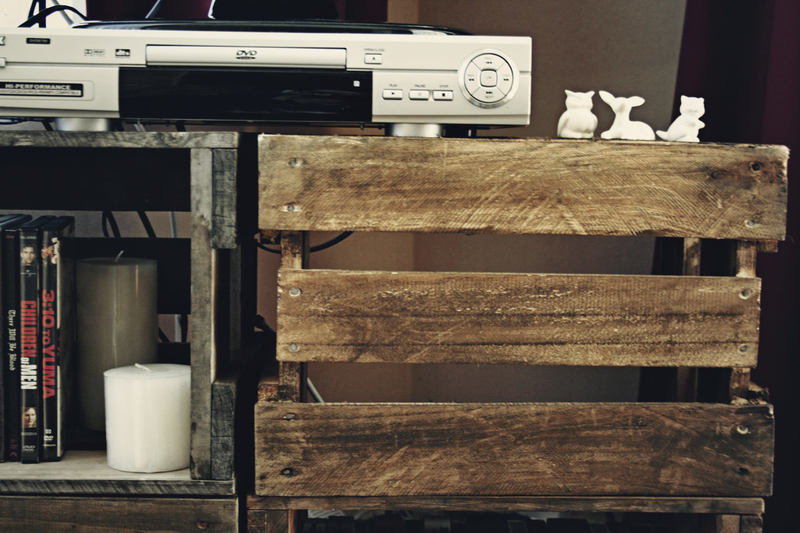 We are obsessed with pallets at our place. Love DIYs!